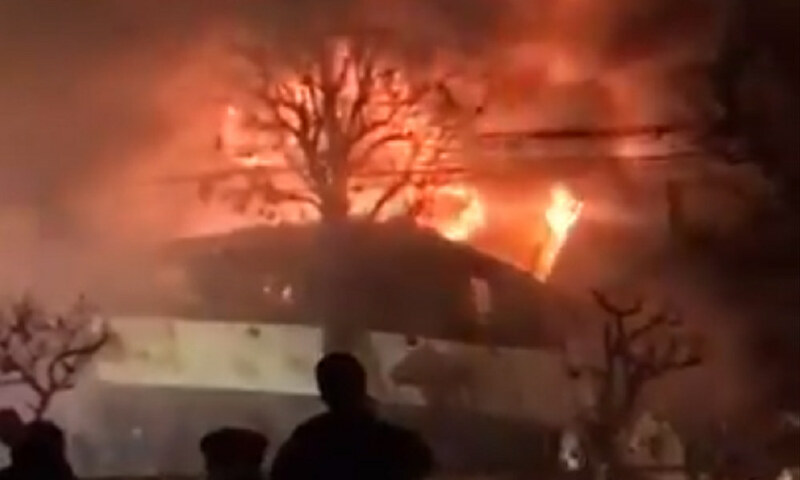 A large explosion has ripped through a busy restaurant in the northern Japanese city of Sapporo, causing a massive fire and destroying most of the building, local officials say. At least 42 people were injured. The accident happened at about 8:30 p.m. local time on Sunday when a large explosion occurred at the restaurant and bar, which is located in the city’s Toyohira district. It may have been caused by a gas leak. Footage from the scene showed a large fire burning at the site and the two-story building appears to have partially collapsed. Nearby buildings were damaged and windows up to 100 meters (328 feet) away were blown out. At least 42 people were injured and taken to area hospitals, according to Japanese broadcaster NHK. A large number of emergency services remained at the scene on early Monday but there were no reports of missing people. The restaurant, Umisakura, is just a short walk from the Hiragishi subway station. It is located in a busy area that is home to many restaurants, bars, shops, and other businesses.